Beefbooster is the top supplier of hybrid bulls in Western Canada, breeding genetically superior bulls that help producers match their beef production to consumer demand. Beefbooster has been selling bulls across Canada for over 30 years, based on rigorous record keeping and now DNA testing; paying little to no attention to phenotypic traits. In a market where buyers often size up a bull based on looks alone, the brand has faced some negative perception perpetuated by the competing purebred industry. To increase acceptance of Beefbooster bulls, we needed to introduce an entirely new way of thinking about bulls, one based on the power of historical data and hybrid genetics. Understanding the buying behaviour of beef producers is uncharted territory, which meant we had to set out to first uncover that data on our own. Technology and innovation has been the cornerstone of the Beefbooster brand and our approach sought to maximize the power of both. 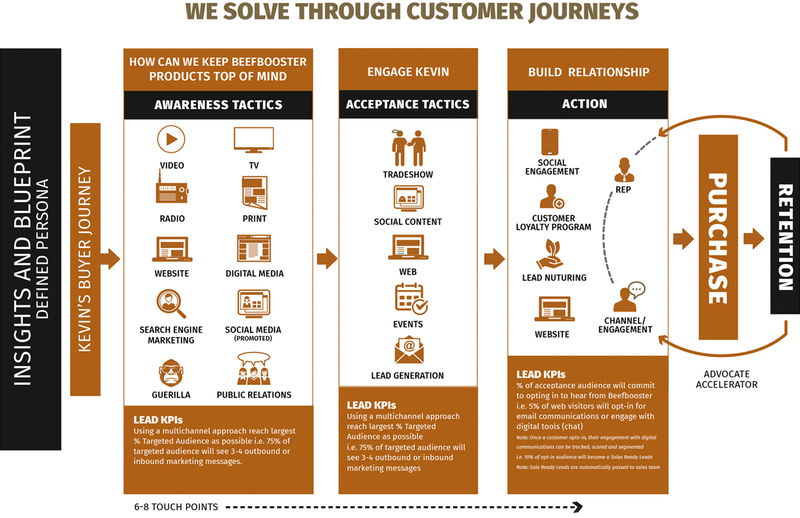 With the customer’s journey laid out, we implemented an integrated marketing campaign that would speak directly to an audience ready for change (if a bit apprehensive about letting go of the traditional way of choosing and buying bulls). 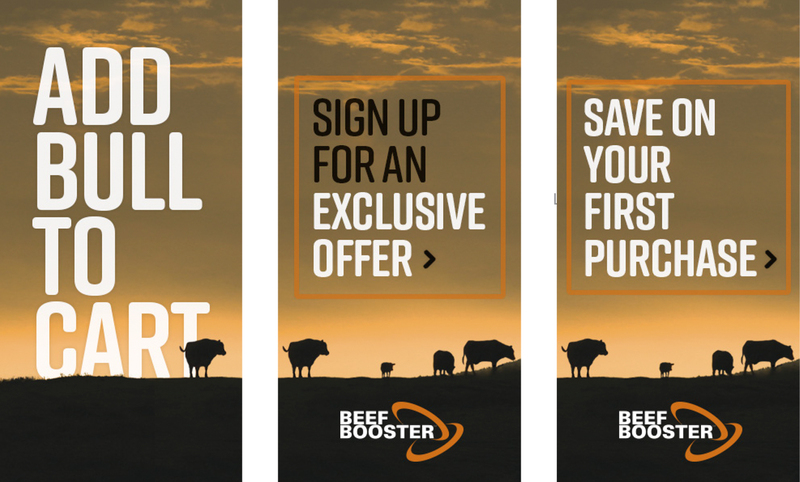 Our strategy focused on creating the opportunity for 6-8 touchpoints for the potential Beefbooster buyer, across multiple channels. Each tactic built upon the last, moving the audience from awareness to action. In 2017, we took it a step further. What if we could also move the traditional cattle sale out of the feedlot and put it online? Our digital team built an online shopping platform to provide a virtual sales experience, which dovetailed perfectly into the existing lead generation and marketing automation strategy we already had in place. Beefbooster sold out of bulls in 2017 – selling over 200 bulls to buyers across Canada. In keeping with their focus on leading innovation, Beefbooster was the first in the world to offer bulls for sale online – and to actually sell them. In early 2018, the first orders for bulls for the 2018 breeding season were completed.